Simon & Schuster/Paula Wiseman Books, 9781416983385, 32pp. On one gray afternoon, Louise makes a fateful trip to the library. With the help of a new library card and through the transformative power of books, what started out as a dull day turns into one of surprises, ideas, and fun, fun, fun! The easy rhythm of the text of this book will soon lend itself to becoming a favorite read-aloud for elementary teachers and librarians. 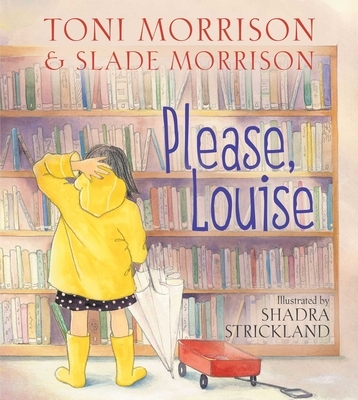 The story starts as Louise is walking to the library on a rainy day. The day is gloomy and she easily becomes frightened by the loud sounds on her path. Once she reaches the library, she begins to read and imagine a better place where she can be safe and happy. The illustrations are colorful and blend with the text to help tell the story.